Portland, OR, scooterist Kalaisha Watrous was seriously injured in an accident on Wednesday. Her club, Twist and Play SC, has set up a donation fund and a site with donation and contact info and news about the crash. 2sb’s fingers are crossed for Kalaisha’s speedy recovery. Honda announced yesterday that their popular-but-unavailable-in-the-US-what-else-is-new Forza 250 range of scooters has been updated for a May release. Aside from cosmetic improvements, it’s been fitted with a seven-speed, three-mode Honda S-matic motor. Sounds a bit cooler than the Reflex. I found this on a British forum today, it seems like something you’d maybe keep in the trunk of your car for a dire emergency rather than the urban assualt vehicle they are hyping it up to be. Either way, it’s an interesting and fun looking little electric scooter: Do you Ikoo? Still no email, and member login is a little wonky, (try clearing your cookies and cache if you’re having problems), but last night we shuffled the layout around a little, and everything else should be working fine. Please post a comment to let me know if you notice any problems. Alfredo and I went to see Stereolab last week (thanks Alf! ), and while the show was really really great, it was the first time I’d seen them without guitarist/backing vocalist Mary Hansen, who was killed in a bicycle accident in London in 2002. The band bravely and wisely went on without her, replacing most of her vocals with french horn and trombone, which works amazingly well. I only recognized a few songs they played, it was heavy on the newer stuff, which, again, is all very good, but their spiffy professional musicianship now lacks the slacky, noisy indie charm of their first few records, in the same way that today’s Belle and Sebastian just isn’t the same as “Lazy Line Painter Jane.” Both bands have always been tight and densely layered, but both have mellowed out sonically with age. So in tribute to Mary and the concert last week, here’s a great live version of their first Too Pure single, “Super-Electric,” with LÃ¦titia and Mary on vocals, from French radio circa 1993. 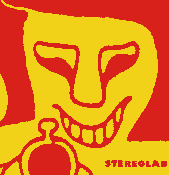 It was my favorite Stereolab song until Vina and I decided to get married while “Jenny Ondioline” happened to be playing. This post is hidden from unregistered readers. It will only be available for one week (Friday to Thursday). Right-click to download, don’t overload our bandwidth by playing it online. If you’re somehow related to the existence of this great song and you’re angry we’re posting it, please let us know and we’ll gladly remove it, but first consider that this is free exposure to a very small group of real music fans who frequently buy records. About a billion photos from a German custom twist ‘n’ go show. Neat! Thanks, Myk Brooke. Nestled within the usual ads for yarn and alternative menstruation products, the April/May 2006 issue of Bust features a story about “biker gangs” for women. Though it covers bicycle, motorcycle, and scooter clubs, the Secret Servix SC monopolized the bulk of the text and photos, along with the Baltimore Bombshells and a couple other girls’ clubs. If that’s not enough to get you running to the newsstand, you also get Gretchen Mol convincingly dressing up like Bettie Page, and a story on comics artist Julie Doucet. Nice! Janel clearly made the right choice hiring Vina as her publicist. Author illnoisePosted on 22.03.06 20.11.08 Categories Books & Magazines, Sightings, TV/Movies3 Comments on Best… Bust… ever. TAG (formerly Twist and Go) magazine has a What Scooter? Database that appears to be carefully updated with all available UK-spec models. A great reference if you’re looking for a new scooter, but don’t get your hopes up if you live in the US, many aren’t available here. Thanks, Dave, for the link. Without getting too political, reading about an event like this provokes a lot of thought, for me anyway, about the war in the Middle East and the Dubai port deal. Drop iPods, not bombs. Thanks for the link, M5. Believe it or not, Gary Charpentier’s Baron 150SX ran like a top all winter. I think Gary was even a bit surprised, what with naming his blog “The Baron in Winter.” So he ran a contest to re-name the blog. I won’t spoil the results, you can read about the name change here. â€œI joked that … we’re going to see Pimp My Snowmobile,â€? Mr. LeBlanc says with a chuckle, a reference to the popular MTV program Pimp My Ride in which old cars are restored and customized to hip status. It may not be that much of a joke. Mr. Schwartz notes that MTV in Germany has a version called Pimp My Bicycle, and in Italy they’re developing Pimp My Vespa. Author illnoisePosted on 19.03.06 Categories Sightings, TV/Movies1 Comment on Pimp my Vespa? Milena at Culvers modeling her sweet new shirt from The Scooter Scoop. I shoulda got a 4T, she’s growing fast. The monster sort of looks like Dave McCabe.